CZK 1bn, in yet another sign of the growing attractiveness of Czech industrial real estate to investors. Colliers’ Investment Services arranged this off-market transaction and provided due diligence support for Red Group in the sale of the two industrial properties to a group of several Czech investors, with Accolade Group being the key investor. One of the properties sold is the Letov industrial estate in Prague’s Letnany district, where GE Aviation produces aircraft engines. The US company recently signed a new long-term tenancy agreement for the 20,200 square metres that it leases on the estate. The second property in the transaction is E-Park Stara Boleslav, which is located close to the D10 Highway at Hlavenec / Stara Boleslav. The park is fully leased to automotive supplier TRW Carr and comprises some 25,700 square metres plus land with further development potential. “Both properties involve industrial assets that are particularly attractive to many investors like Accolade. Both facilities benefit from proximity to the most important Czech transportation routes and hubs, providing easy and comfortable access to key markets,” said Tomas Szilagyi, Senior Associate Investment Services, Czech Republic at Colliers International. For Accolade, which invests in industrial real estate across Central Europe, this is its second investment in the industrial real estate space in Prague and its surrounding area within this year. The first was the purchase of Karlovarska Business Park close to the start of the D6 Highway (Prague to Karlovy Vary), which the group purchased together with the fund Conseq Realitni. 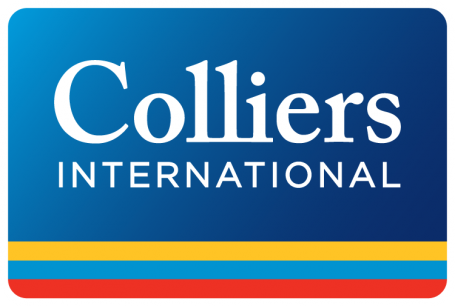 “Colliers is pleased to be involved in this relatively straightforward transaction from Red Group to Accolade, which further underlines the popularity of long-leased facilities occupied by companies of such a high calibre,” said Omar Sattar, Managing Director, Czech Republic at Colliers International.